If you have not seen BeeGo yet on the streets chances that you are new to Coimbatore are very high. BeeGo straddles throughout the city day in and day out delivering smiles one after the other. 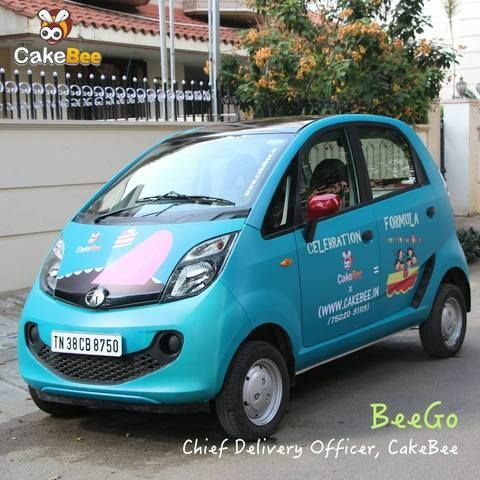 BeeGo is our chief delivery officer, our Nano in chief, your friend who ensures every delivery meets the highest set of standards that we have set. In line with our series on sharing to the world why we do things the way we do, this blog will speak about why we chose Nano of all cars for delivery? Make in India: As any other startup, we are fiercely proud of products that are built in India. These products are a reflection of our entrepreneurial spirit to the rest of the world. Nano is our automotive icon that has got international recognition since the day the car was announced. It’s our way of lending our hand to the startup ecosystem. Height & Interior Space: Most of the cake shops where you order wedding cakes or cakes for big occasions refute the responsibility of delivering it. We are not one of them. Reason: Our Nano is one of the tallest cars in the business and although it may look compact from outside, it is enormous interior space. You need to sit in one to believe it. End Result: We deliver all orders irrespective of however big or tall the cake maybe. I am sure the good folks at Tata motors are going to enjoy this blog more than even we did writing this. Every decision that we make is based on a lot of research to ensure that every cake that is delivered meets your expectations. Watch out for BeeGo during your daily commutes. 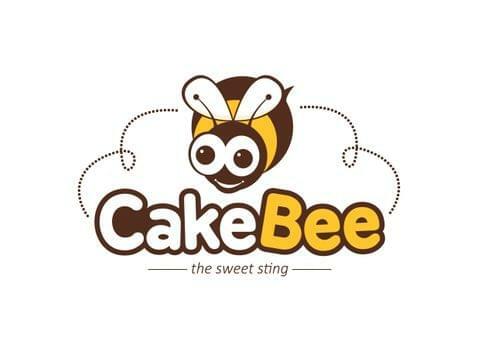 To have a more up-close experience with BeeGo, you can order online and watch him deliver cakes to your doorstep.